Game on. That would be the long race to the end of the wine competition season, which for me concludes with the Sommelier Challenge in September. I’m a true believer. This year I’m on board for nine wine competitions; four as Director and five as a judge. This week I completed my first gig as a judge, heading a panel at the Dallas Morning News/TexSom competition in Dallas. 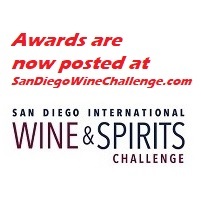 Last month we staged the fifth annual Winemaker Challenge in San Diego, where I am Director. On my plate in April I have the 31st annual San Diego International (Director) and the Sunset Magazine International (judge). May takes me abroad for the Concours Mondial de Bruxelles in Brussels (judge) and the Wines of Portugal Challenge in Lisbon (judge). 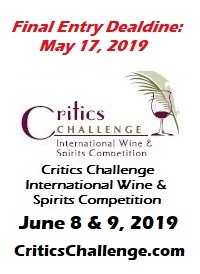 June is a busy month as well, with the Critics Challenge (Director and Chief Judge) and the San Francisco International (judge). There is a brief summer break for some badly needed R&R before staging the Sommelier Challenge (Director) in September. Why do I do it, other than the financial benefits derived from the competitions I operate as Director? Good question considering the value of a wine competition medal is open to debate. I would be the first to say that wine competitions are not for every winery, although most every winery owner and winemaker I know enjoys boasting about their “award-winning” wines. Tough to make that claim without any awards they can point to. But I realize there are any number of wineries that routinely rack up great ratings and outstanding scores from the critics and think of a wine competition medal as unnecessary icing on the cake. Tough to argue otherwise, although I do admire that handful of top-tier wineries that have the big scores and enter wine competitions anyway, which tells me they truly believe in the quality of the wines they produce. After 20 years of involvement I remain bullish on wine competitions because I believe they deliver a valuable service. Consumers benefit when they purchase a medal-winning wine because they can draw a measure of comfort from the knowledge that an unbiased panel of wine professionals tasted the wine and issued a stamp of approval. Wineries benefit when they win a medal because it gives them another tool in the task of competing in a challenging market that is critical to their ultimate success. 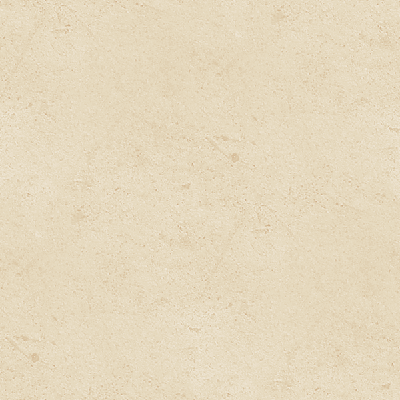 Making a good wine is relatively easy; selling it, not so much. On a personal level, wine competitions keep my palate sharp and my finger on the pulse of winemaking trends. I like to tell the story of one of my first stints as a judge at Concours Mondial. Concours Mondial is the world’s largest wine competition and attracts entries from throughout the world, although it is European-centric. The format for this tasting places a judge alone at a table in a cluster of tables that form one tasting panel. Wines are tasted “blind” and rated on a 100-point scale, using criteria provided by Concours Mondial. While all wine competitions taste “blind” in the sense that the identity of the producer is withheld from the judges, Concours Mondial takes the concept of “blind” tasting to another level. Judges are given no information about the grape varieties or origin of the wines they are evaluating. Each wine entry is evaluated as a stand-alone product. During one flight of reds I came across a patch of five consecutive wines that worked out to a gold medal on my score sheet. Five consecutive gold medals might not be unprecedented, but it was for me. Naturally, I was curious to know what the wines were and where they came from. Turns out they were AOC Coteaux du Languedoc wines from the sub-appellation of La Clape. Not acquainted with the wines of La Clape, I queried my good friend Stephen Brook, a London-based writer for Decanter well-schooled in the wines of France. I was informed the La Clape wines were held in high esteem in the United Kingdom because quality was very high and prices were low. That sealed it for me. I had to know more about this subzone that was capable of making such amazing reds. That was many years ago, and since my first visit it has been gratifying to watch La Clape rise to Grand Cru status and finally earn the recognition it so richly deserved. But for me, the discovery of these great wines and my enduring appreciation began many, many years ago – at a wine competition.